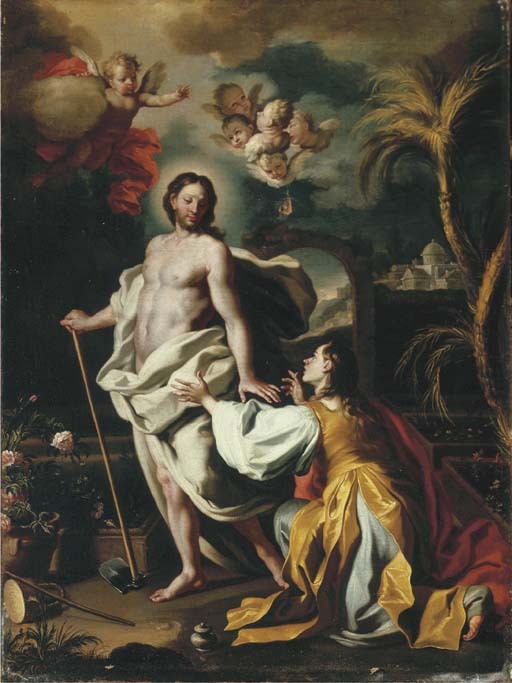 We are grateful to Professor Nicola Spinosa for confirming the attribution of this hitherto unpublished canvas to Solimena. This was one of the artist's most popular compositions and is known through several autograph replicas as well as number of copies and variants painted by his pupils and followers. Spinosa dates the present work to 1718-20, a time when the artist's work was characterised by a more Classical handling.